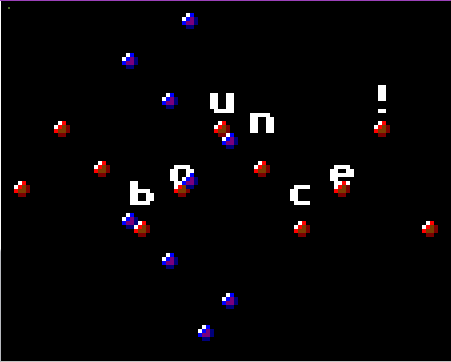 An inline pixel editor that enables you to draw bitmaps inside the text editor! An integrated builder to make a binary packet for flashing to Pokitto. This really is the easiest way to develop simple games for Pokitto! 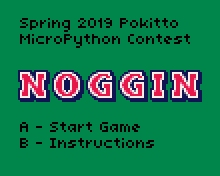 A tutorial how to make a small game in Micro Python for Pokitto: [Tutorial]How to make a simple game in Python: "Frogitto"
First of all, a very big thank you to @Hanski and @FManga for their hard work on the incredible Python IDE and the tutorials and wikis. These will make Python coding on Pokitto much easier! To celebrate this, the Batcomputer has decided to host a small competition to encourage people to try out Python coding on Pokitto and give to feedback and ideas about the tools. ( NOTE, “by 30th” means you can send your entry ON 30th. Sorry for saying it unclearly. game code has to be open-source so other can benefit from your wisdom! I reserve the right to amend rules if the situation requires it! Nobody will be cheated but if something happens, I will simply deal with it. Everyone has a chance! The jury won’t just give prizes to old experienced coders. We will look at the submissions and we can see the effort of the individual submissions. … and ofcourse the admiration of Pokitto community to prize winners and participants! Here are competition entries (in release order). You’re a knight on an important quest… but a pesky lizard is in your way. Left : Sword attack. Effective against attempts to heal. Up : Heal yourself. Makes you vulnerable to sword attacks. Right : Block. Reflects sword damage back to opponent. 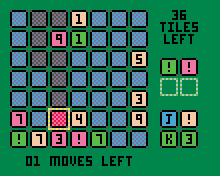 Each tile gives you a number, make that many moves without crossing your path then hit A.
Jack - swap a tile from the spares pile. 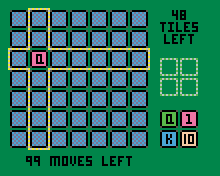 Queen - choose any tile horizontally or vertically, but all tiles in that line will flip. 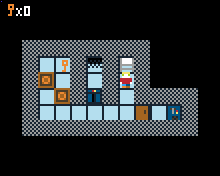 King - Same as Queen, but only your selected tile will flip.
! 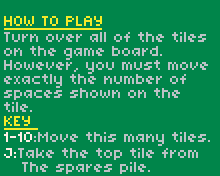 - Move one tile, but reserve the ability to move anywhere by pressing B when on your starting tile. 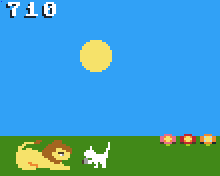 Take pictures of the sleeping lion to score points. 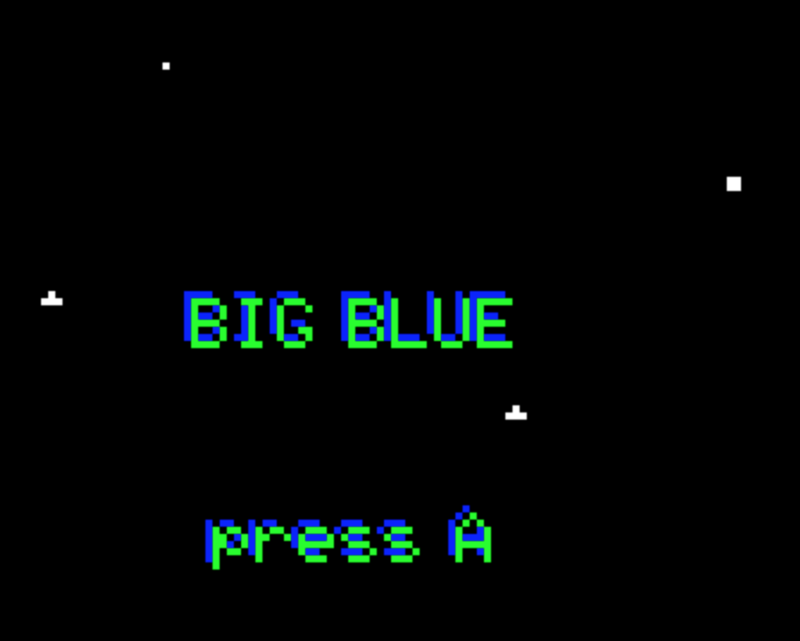 Note how the environment changes as your score increases. Don’t get noticed by the scary lion. Sailing the dangerous waters of the Spanish Main, you as a captain have to take care of your ship and crew. Your goal is to sail to different islands, land on the ports and make sure your ship stays brimmed with Grog. the ship’s mast watch will call “Land Ahoy” when he sights land. You can then try to sail in that direction. It is easy to miss the islands! Now go learn the ropes, ya miserable landlubber!! Interesting factoid: What is Grog? Your goal in it is to guide the astronaut home, avoiding aliens, comets and rockets across 5 different levels of increasing difficulty. 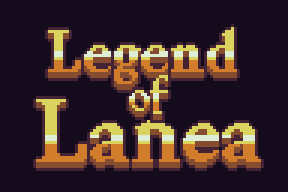 Legend of Lanea is a Zeldaesque adventure for the Pokitto. Amazing, looks like a huge leap in accessibility for the beginners. Going to test! Just go for it The prizes are very, very nice also! Just ask here if you have any questions or comments about the editor, uPyGame, Micro Python, etc. TIP: The speed of the Python program on Pokitto HW is actually significantly faster than in the integrated emulator. Question… is Pokitto Python for 110x88 only? of is 220x176 possible? For simplicity, the online editor supports only 110x88 with 16 colors. It is also for memory usage reasons, as there is not too much free RAM left for Python programs. Does float work? It doesn’t want to compile with float numbers and float(2) gives me unknown name. Ooh! First entry. It’s game on!!! Is there a reason that my images don’t do that re-colour thing that the examples do? yes, something I have forgot to mention. There has to be “pixels” in the variable name. cool, I don’t suppose image arrays are a thing? 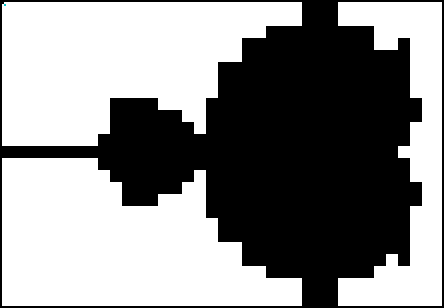 I want to use a 14 frame sprite sheet. 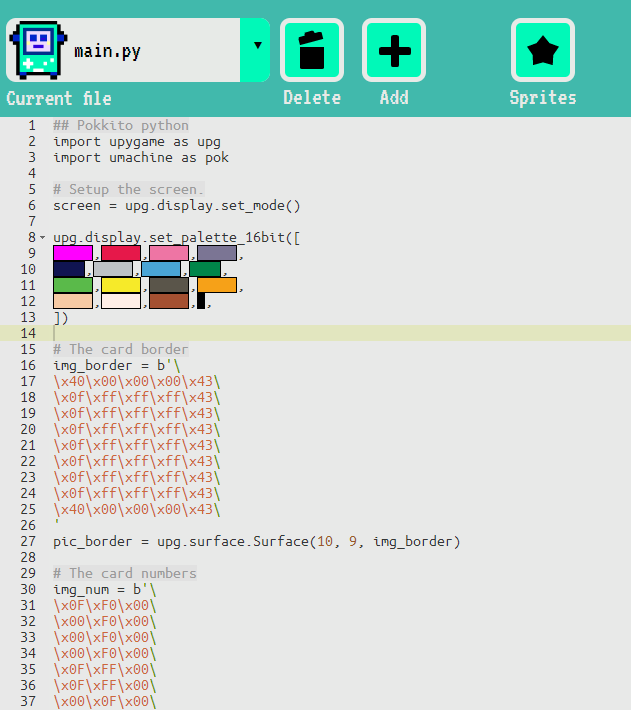 This looks really nice, and the image editing in the code reminds me of fantasy consoles like the Pico-8, where all the development tools are integrated together. This should make it a lot easier for people to start developing for the Pokitto. I definitely want to find some time to try this out. There has to be “pixels” in the variable name. I think it would make more sense to put that in a comment above rather than restricting the programmer’s word choice. Unless that’s too much extra effort? I will collect all the information in this discussion thread to there. 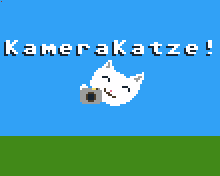 I wanted to try something really quick with this and I hadn’t done any demoscene-style stuff before, so I put something simple together. I’m amazed how fast this runs on the Pokitto! It’s super smooth, even without trying to do any optimizations. Hoping to be able to do more later.